Confession: I have more dresses and skirts than I’d like to admit. I’ve been cultivating my collection for years and try to take good care of my clothes so they last a while. But, I’ve always had one little problem — a lack of closet space. Growing up, my sister and I didn’t have a closet until we were teenagers because my dad took over the one in our room. Once we did lay claim to that closet, my sister and I had to share it. The horror! Fitting all my skirts into half a closet wasn’t easy, so I had to get a little creative and maximize the space I did have. After a bit of shopping, I came across a brilliant hanger that would fit several of my skirts and take up less space in my closet. 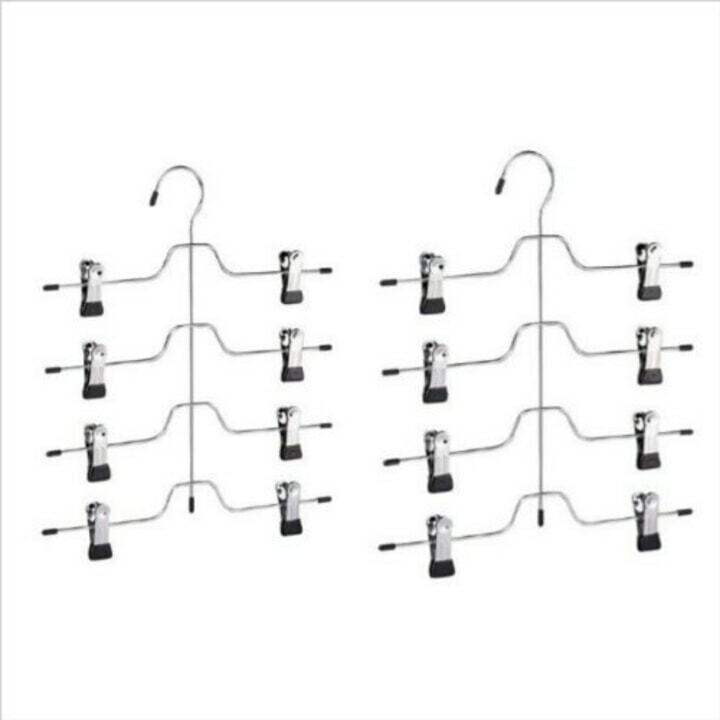 I found it years ago at The Container Store, but this skirt hanger from Whitmor ($5 on Amazon) is identical. 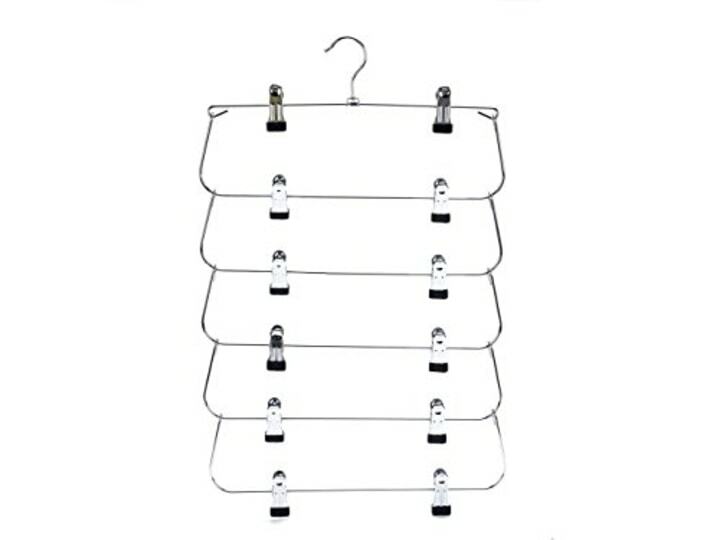 This space-saving skirt hanger vertically stacks skirts, so you can fit several while only taking up the actual space of one hanger in your closet. Amazing, right? The hanger has four tiers, so in theory you can fit a total of four skirts on it. I like to push the limits, so I squeeze two or three skirts onto each of the tiers. They fit easily. Sure, once in a while a stray skirt slips off the hanger while I'm removing the one I want to wear, but I just try to be careful and gingerly grab the one I need. Since I first discovered the hanger years ago, I’ve picked up several, and they've definitely helped me to better organize my closet. Even though I now live with my boyfriend and have graduated to having my own closet, I still appreciate these hangers. After all, they let me indulge my passion for fashion without worrying about space! Want to save even more space? 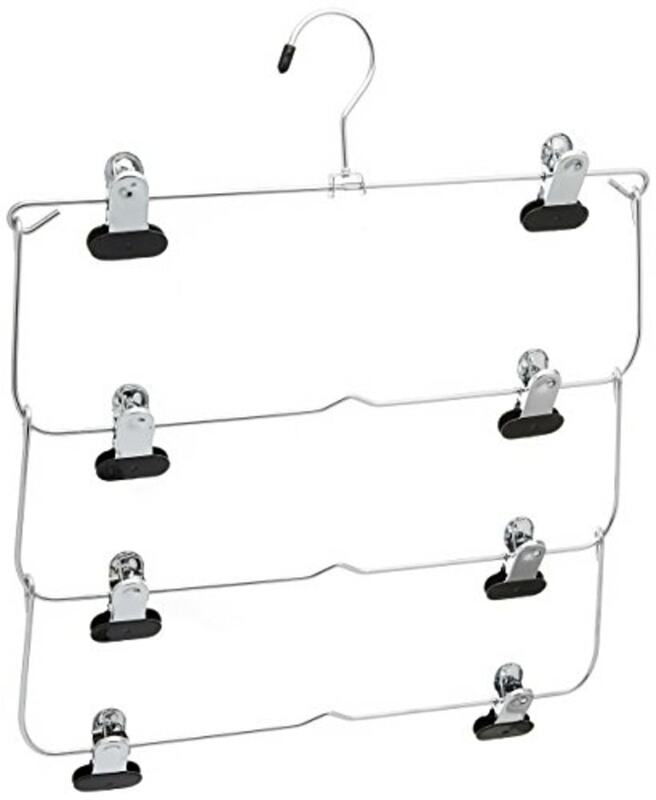 Go for a six-tier hanger! 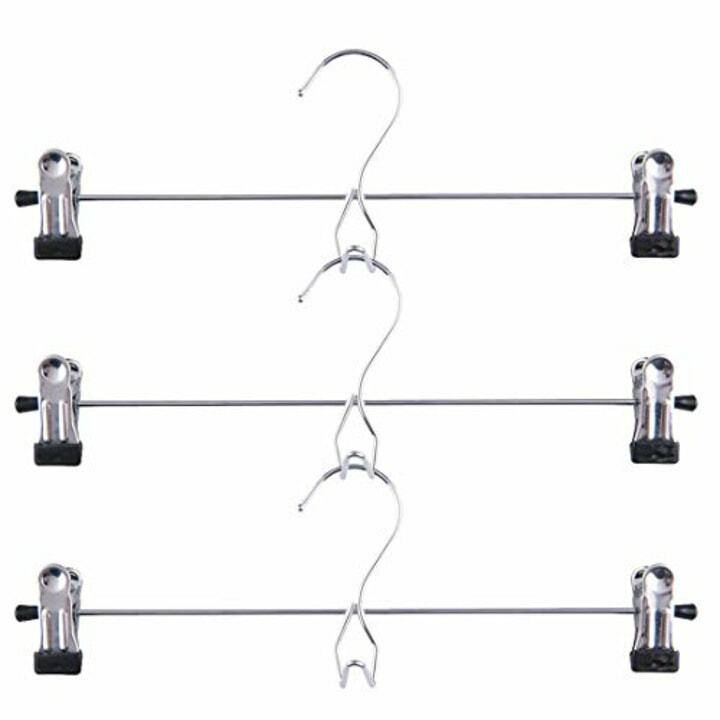 This one lets you stack several hangers together to save space. Caution: Adding a few of these hangers to your closet just might inspire you to buy some more skirts!